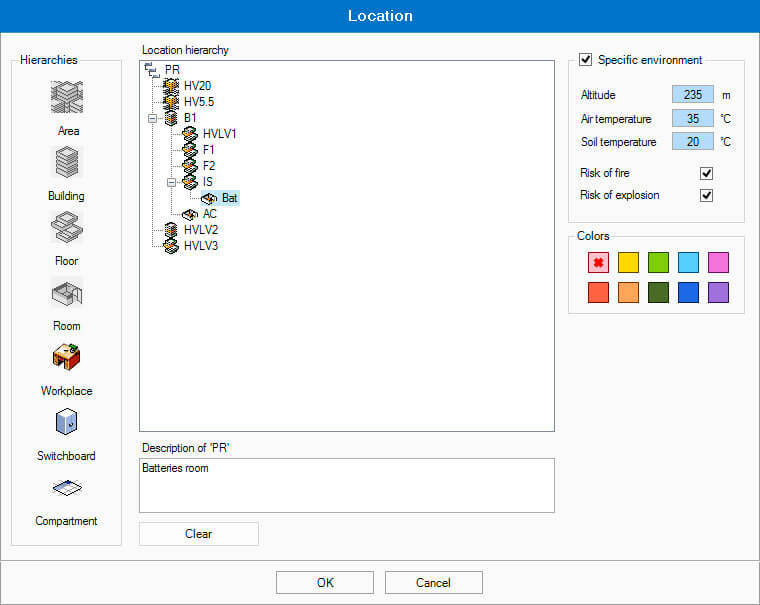 elec calc™ enables the user to describe the geographical environment of the installation for each project through a tree-structure up to seven levels. It is therefore possible to precisely position each component of the system and be able to search from this location. It is also possible to draw directly on the one-line diagram contours that are associated with a location. All components laid in these contours automatically take on the characteristics of this contour (location and environment settings). 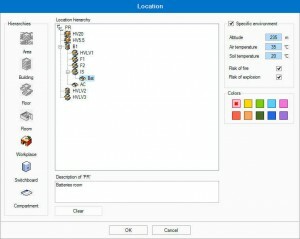 It is also possible to assign specific environment parameters to a component.